Brian is an award-winning comedian, presenter and West End actor. 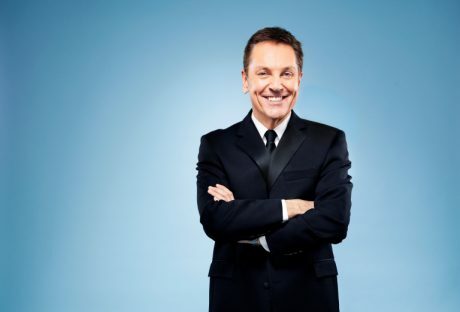 Appearing in shows including Five Alive and Live at the Palladium, Brian was given his own show Brian Conley – This Way Up followed by the hugely popular The Brian Conley Show. His TV career has been extensive featuring in programmes including; Time After Time, The Grimleys, Last of the Summer Wine, The Life and Times of Vivienne Vyle and has also hosted and appeared on eight Royal Variety Performances. Brian wanted to extend his acting skills and moved into theatre starring in a wide range of plays and musicals; Chitty Chitty Bang Bang, My Girl, Jolson, Hairspray, Oliver!, The Music Man and Barnum. Throughout his career Brian Conley has won many awards including a National Television Award for Most Popular Comedy Performer and Show Business Personality of the Year. To enquire about or book Brian Conley for your event contact Arena Entertainment. Either send an email to info@arenaentertainments.co.uk or speak to one of our booking agents on 0113-239-2222.